The Waikato Region is a local government region on the western side of the North Island. It stretches from Lake Taupo and northern King Country in the south, up to the Coromandel Peninsula and the boundary with the Auckland Region. Waikato also refers to the district administered by the Waikato District Council. This covers the towns of Ngaruawahia, Huntly and Raglan. The Waikato refers too to the long river from which the region gets its name. Waikato is a Maori word meaning flowing water. In the west, the region is bounded by the Tasman Sea. 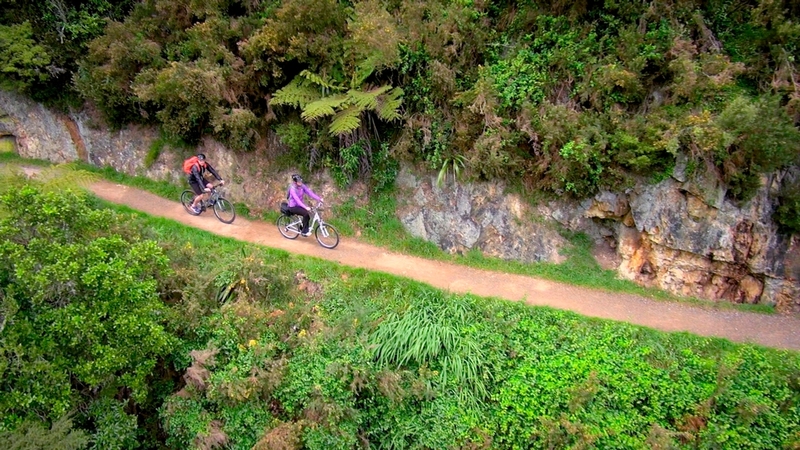 The coastal region is largely rough hill country, known locally as the Hakarimata Range, though it is more gently undulating in the north, closer to the mouth of the Waikato River. The coast is punctured by three large natural harbours: Raglan Harbour, Aotea Harbour, and Kawhia Harbour. The area around Raglan is noted for its volcanic black sand beaches, and also for its fine surfing conditions. To the east of the coastal hills lies the broad flood plain of the Waikato River. The region has a wet temperate climate, and the land is largely rich farmland, although it also contains undrained peat swamp. It is in the broad Waikato Plains that most of the region's population resides, and the land is intensively farmed with both livestock (mainly dairy cattle) and crops (such as maize). The area around Cambridge has many thoroughbred stables. The north of the region around Te Kauwhata produces some of New Zealand's best wines. Several shallow lakes lie in this area, the largest of which is Lake Waikare. To the east, the land rises towards the forested slopes of the Kaimai and Mamaku Ranges. The upper reaches of the Waikato River are used for hydroelectricity, and several large artificial lakes are found in the region's southeast. The city of Hamilton is the major centre with smaller townships at Tokoroa, Te Awamutu, Cambridge, Huntly, Matamata, Morrinsville, Ngaruawahia, Otorohanga, Putaruru, Raglan, Te Kauwhata, Te Kuiti, and Tirau. Other towns within the Waikato government region, but outside the normally accepted Waikato area, include Waiuku, south of Auckland; Paeroa, Te Aroha, Thames, Whangamata, and Whitianga around the Thames Valley and Coromandel Peninsula; and the city of Taupo and town of Turangi in the southeast. Colville is a small town in the north of the Coromandel Peninsula in the North Island of New Zealand. It lies 15 kilometres north of Coromandel and is the northernmost town of any note on the peninsula. Beyond it lies 25 kilometres of rough road leading to the small settlement of Port Jackson, close to the peninsula's northernmost point, Cape Colville. The Motukawao Islands lie five kilometres off the coast to the southwest of Colville. Hamilton is New Zealand's fourth largest metropolitan area. 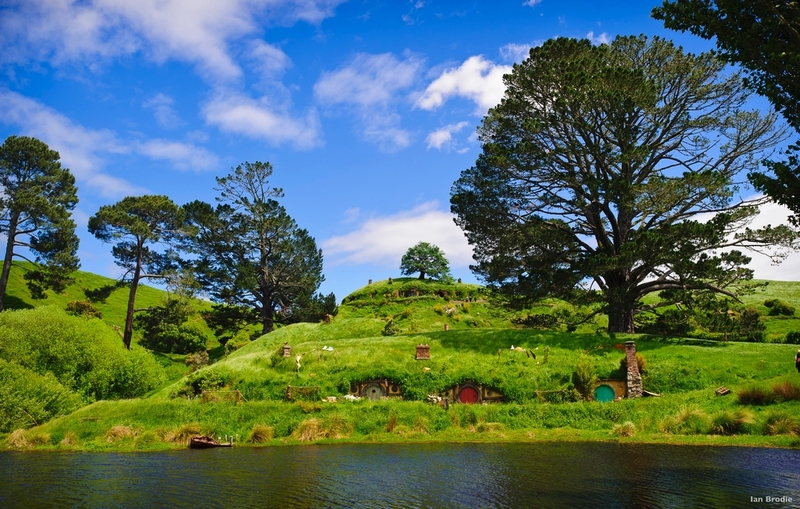 It is situated in the Waikato district about one and a half hours drive south of Auckland. The local iwi (Maori tribe) is Tainui. Originally called Kirikiriroa when the first Maori inhabited the region, it was later renamed Hamilton after Captain Fane Charles Hamilton, the popular commander of HMS Esk, who was killed in the battle of Gate Pa, Tauranga. It is now popularly referred to as "Hamilton, City of the Future." The city is located at the southernmost navigable reach of the Waikato River, amidst New Zealand's richest and most fertile agricultural land. Initially an agricultural service center, it now has a growing and diverse economy. Education and research are important to the city, through the University of Waikato and through the agricultural research center at Ruakura, which has been responsible for much of New Zealand's innovation in agriculture. Hamilton annually hosts the national Fieldays at Mystery Creek, the southern hemisphere's largest agricultural trade exhibition. Manufacturing and retail are also important to the local economy, as is the provision of health services through the Waikato Base Hospital. Hamilton is a rapidly growing small city with approximately 40 percent of New Zealand's total population living within a 250 kilometre radius. The city lies at a main rail and road nexus. Its airport has now been upgraded to service international flights. Because of its rapid growth, some consider its more recent suburbs lacking in character; however the centre of the city is vibrant and lively, with the Waikato river bisecting the city. Hamilton Gardens is the region's most popular tourist attraction and hosts the Hamilton Gardens Summer Festival each year. Other local attractions include Hamilton Zoo, the Waikato Museum of Art and Culture and the Art Post art gallery. Otorohanga is a town at the southern end of the Waikato region in the North Island of New Zealand. It is a service town for the surrounding dairy farming district. The town is located 60 kilometres south of Hamilton and 20 kilometres to the north of Te Kuiti, on the banks of the Waipa River. Taumarunui is a town in the North Island of New Zealand. The town is situated in rugged terrain on the upper reaches of the Wanganui River 65 kilometres south of Te Kuiti and 55 kilometres west of Turangi. The town was originally a trading centre, but gained importance with the cosntruction of the railway. The line south of Taumarunui caused considerable problems due to the terrain, and has several high viaducts and the famous Raurimu Spiral. In recent times, the town's economy has been based on forestry and farming, and has gained in importance as a tourism centre. Taupo is a large urban area in the centre of the North Island of New Zealand. The town is also the seat of the Taupo District Council. Taupo is located at the northeast corner of Lake Taupo, and functions as a tourist centre, particularly in the summer. The name Taupo comes from Maori, the full name is Taupo nui a Tia. Taupo meaning shoulder cloak, nui meaning big, a meaning of and Tia the name of the discoverer of the lake, literally translated it means The great cloak of Tia. To the north of the town is the geothermal power station at Wairakei, and hot springs suitable for bathing are located at several places in the vicinity of Taupo. One of New Zealand's most spectacular waterfalls, the Huka Falls is also close to the town on the nascent Waikato River. The Taupo District covers 6,350 km2 of land, as well as a further 610 km2 of lake area, both in Lake Taupo, the country's largest lake, and also in the smaller Lake Rotoaira. The district stretches from the small town of Mangakino in the northwest to the Tongariro National Park in the south, and east into the Kaingaroa Forest. The district's population is largely located in the two main centres, Taupo and Turangi. Te Awamutu is a town in the Waikato on the North Island of New Zealand. It is a service town for the farming communities which surround it. Te Awamutu is located some 30 km south of Hamilton and is widely known for its rose displays. The town is on gently undulating land close to the banks of a tributary of the Waipa River. The Waikato Plains lie to the north and east, and the promontary of Mount Pirongia, 20 kilometres to the west, is easily visible. Te Awamutu was a major site during the Maori wars of the 19th century, serving as a garrison town for the colonial settlers. Te Awamutu Museum contains one of the most famous early Maori artefacts, a large carved post known simply as Te Uenuku. This impressive carving has caused much controversy because its style is markedly different from any other early Maori work, yet it is clearly of a Maori design. The main thoroughfare is Alexandra Street, so named because it was once the main road to the town of Alexandra (since renamed to Pirongia to avoid confusion with the town of Alexandra in the South Island). Other towns surrounding Te Awamutu include Cambridge, 25 kilometres to the northeast, Otorohanga, 30 kilometres to the southwest, and Raglan 50 kilometres to the northwest. The small town of Kihikihi lies just to the south of Te Awamutu. Tokoroa is the second largest town in the Waikato region of the North Island of New Zealand. It is the largest settlement in the South Waikato district and is located 30 kilometres southwest of Rotorua close to the foot of the Mamaku Ranges. Tokoroa is located mid-way between Rotorua and Hamilton on State Highway One. The other two main settlements in the South Waikato district are Putaruru and Tirau. Huka Lodge is located in Taupo, in the central North Island of New Zealand and is the only "Leading Small Hotels of the World" property in the country. Huka Lodge is surrounded by magnificent natural beauty. The crystal clear waters of Lake Taupo are fed by mountain streams and are home to some of the most sought-after Rainbow trout in the world. The spectacular and mighty cascades of water forming the Huka Falls are a short walk from Huka Lodge, on the banks of the Waikato River. New Zeland Travel Inc./Aussie Travel is The Best, stearing us to the most Delicious towns with the most Fabulous Committed, Interesting Guides showing us Marvelous Beaches, Forests and Natural Wonders....the B & B Accomodations were all run by the Most Memorable Inn Owners, all of whom we shall Never Forget.....every day was a Joy...we Never thought the next day would equal what we had experienced the day before, but it Aways did....THANK YOU FOR RECOMMENDING NZ TRAVEL SPEARHEADED BY DONNA...we have been traveling for over thirty years, and can easily say this latest Adventure in Aus. & NZ was Just Grand!!!!!!! !